Delhi Darevils, one of the three teams that is unable to win IPL trophy in 11 years. They are always chopping and changing their squaad. If they had retained players with tactic then they would have been the strongest team of IPL because they had Ab de Villiers, David Warner, Andre Russell and many other. 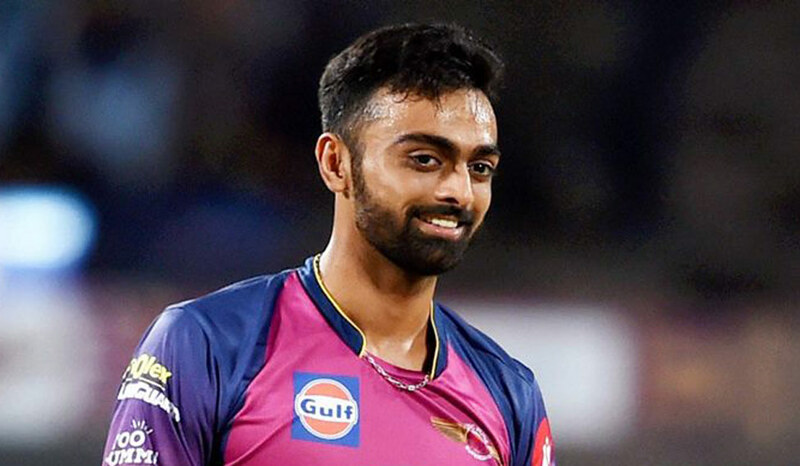 Before IPL 2019 Auction, they have released big players like Glenn Maxwell, Gautam Gambhir, Vijay Shankar, Shahbaz Nadeem etc. What they lack is a no.7 position and a quality bowler to replace no. 8. Unadkat set the cricket world ablaze during the last IPL auction. The pacer was bought at a whopping amount of 11.5 Cr by Rajasthan Royals. However, he failed to live up to the hype, finishing the tournament on a low note. The Gujarat-based bowler, though, performed well at the Vijay Hazare Trophy, taking 16 wickets in the eight matches. DD could well get him in the auction next season so as to settle their bowling woes. They might go up to 5-6 cr for him. Chinaman bowler Zahir Khan featured in last season’s IPL and was listed in the auction at a base price of INR 20 lakhs. To his delight, he was picked up by Rajasthan Royals (RR) for INR 60 lakhs. However, fate had something in cruel in store for the 19-year-old. He was ruled out without playing a match due to an injury and New Zealand leg-break bowler Ish Sodhi, who initially found no buyers, replaced him. He was effective, playing for Nangarhar Leopards as he finished with 10 wickets at an economy of seven. The left-armer also hasn’t done badly in the T10 League, representing the Punjabi Legends. In all five matches, he is yet to go wicketless, which shows his prowess as a strike-bowler. With wrist-spinners tasting a significant amount of success in IPL, Zahir can be more than handy with the ball in hand. He can be a substitution player of Sandeep Lamichhane and I think Zahir is better bowler than Sandeep. It is because Sandeep is a normal legspinner but Zahir is a chinaman( left arm leg spinner) bowler who will be more handy. They were the worst performers in the last season. The decision of Gautam Gambhir to drop himself in the middle of the season did not help the team’s cause either. They had Glenn Maxwell in the middle-order, but he flattered to deceive all the time. DD would look for a replacement for Maxwell and none better than Hetmyer to do the job for them. The Guyanese is a really powerful batsman and can clear the fence with relative ease. He can be compared to a Rishabh Pant in that sense, and loves going over the leg side – although he can play big shots over long off as well. Hetmyer has stated that his dream is to play in the IPL, and that’s not far from being fulfilled courtesy his great performances. Here are 3 teams that could go for Hetmyer at the auction. This guy is in every team’s radar. So every team will be bidding on him and his price will go upto 7-8 cr. Eventhough Hetmyer can be a great batting pillar for DD but in my opinion, KXIP are the one that will acquire him.